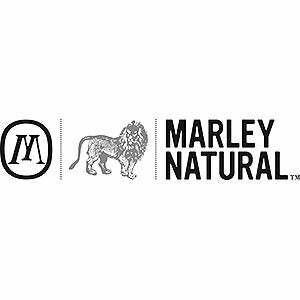 Promoting “positivity, connectivity, and personal transformation,” Marley Natural’s flower, accessories, and body-care products are responsibly sourced and integrity driven, the company says. We are fortunate to be living during a promising time of rapid change, especially with regard to cannabis, how people understand it, the evolution of the laws that govern it, and the development of mainstream brands. Our brand has deep respect for nature’s nourishing benefits and we believe cannabis should be consumed responsibly as a way to connect, reflect, recharge, and inspire oneself. In the spirit of giving back, both to Jamaica and to communities that have been harmed by cannabis prohibition, Marley Natural has created Rise Up, a social impact initiative. Rise Up funds a series of carefully curated projects around the world that reflect our vision for an inclusive and compassionate community where people take care of each other and the environment. The projects we fund are committed to environmental sustainability, positive social change, and helping communities that have been harmed by the social injustices of cannabis prohibition. In the U.S., our Rise Up program has helped expunge 100 records. Opinions toward cannabis are changing and people are recognizing the benefits of the herb. Our mission is to be one of the world’s leading cannabis brands that is deeply rooted in doing social good. We look forward to sharing more about how Marley Natural will make a positive difference in the world through its social mission and philanthropy. It is extremely important to us that Marley Natural operates with a strong social conscience, which is why we have taken great care to source our products in an environmentally responsible way. Through our Rise Up initiative, Marley Natural seeks to support socially minded and environmentally conscious projects whose aim is to directly and positively impact communities.